Off Life, now in its ninth issue, is a free bi-monthly comics magazine edited by Daniel Humphry. Each issue features one interview with a ‘big voice’ in the industry. Past interviews have been with people such as Adrian Tomine and Warren Ellis. This issue of Off Life includes an interview with Jeffrey Lewis and comics by Joe List, Catherine Pape and Brendan Keifer, whose comic ‘The Truly Original Tale of Lil’ LaBeouf’ references the plagiarism dispute between actor Shia LaBeouf and graphic artist Daniel Clowes. Comics by Grant Snider and Joe List. 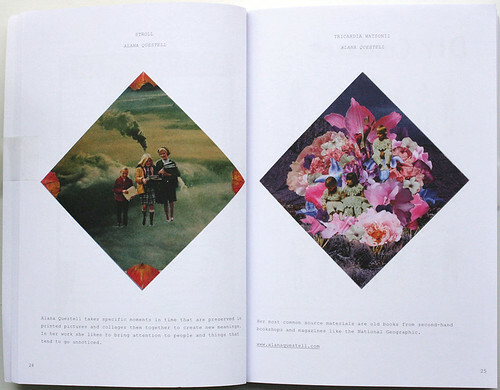 Top: spread from OOMK magazine no. 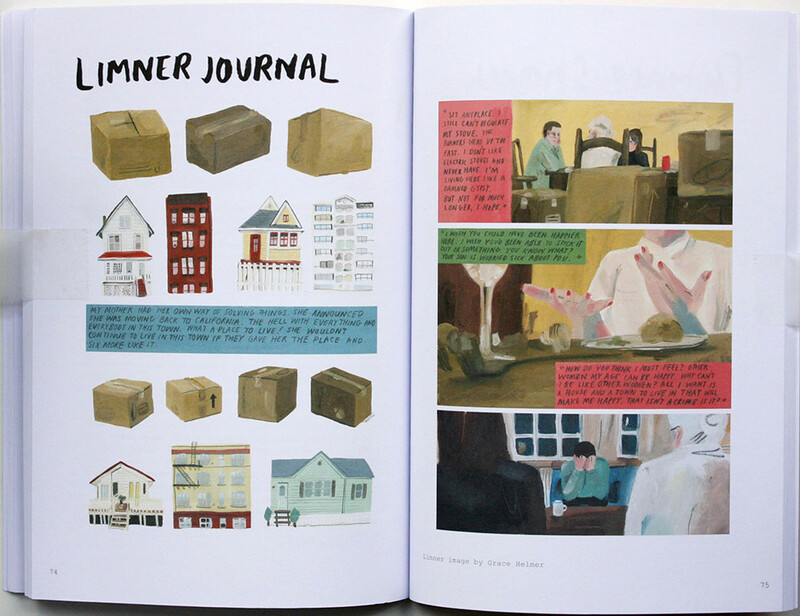 2, featuring illustrations by Grace Helmer from Limner Journal as part of an interview with the journal’s publisher, Studio Operative. 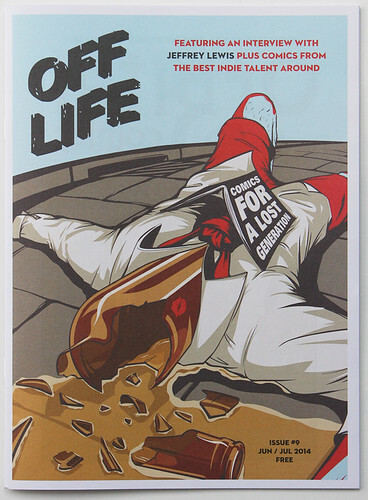 Cover of Off Life no. 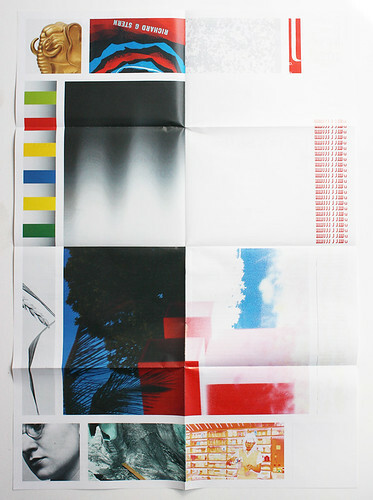 9, 2014, edited by Daniel Humphry. Design: Steve Leard. 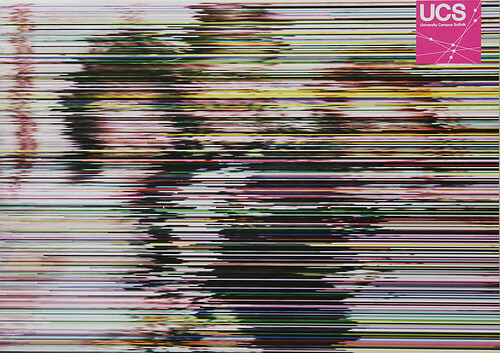 Cover Art: Eric Chow. The Guardian’s new icons, based on the original Guardian Egyptian type family designed by Christian Schwartz and Paul Barnes (see Eye 82). 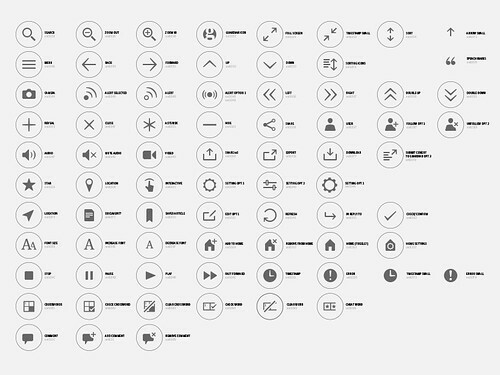 Custom icons in the development phase. The Critical Writing in Art and Design students at the Royal College of Art are hosting a book launch for their two new titles ARK: Words and Images from the Royal College of Art Magazine 1950-1978 and Ends Meet: Essays on Exchange, 18 June 2014. The books will also be available to purchase online. 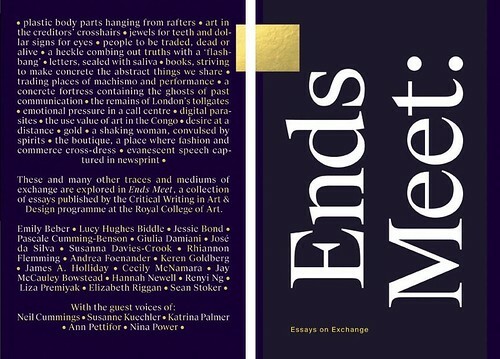 Cover of Ends Meet: Essays on Exchange, a collection of essays published by the Critical Writing in Art and Design programme at the Royal College of Art. 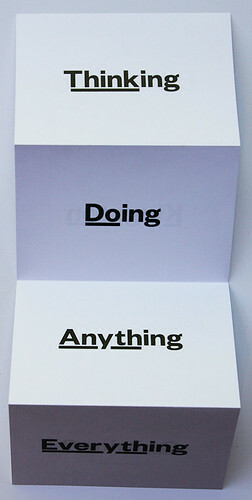 Invitations to graduate exhibitions have been rolling into Eye’s Shoreditch office. Here are just a few. University Campus Suffolk arts and humanities end of year show 2014. Public view, 6-15 June 2014. 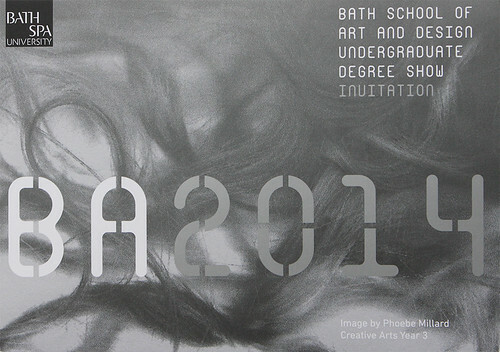 Bath School of Art and Design undergraduate degree show. Public view, 7-15 June 2014. 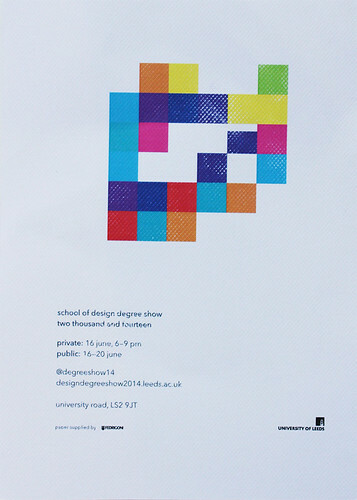 University of Leeds design degree show. Public view, 16-20 June 2014. 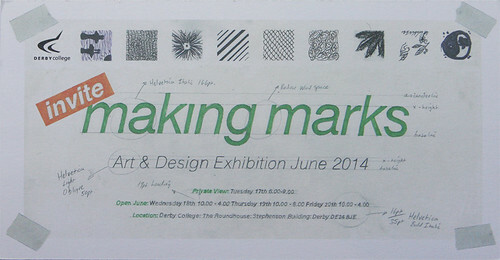 Invite to the Derby College art and design exhibition. Public view, 18-20 June 2014. 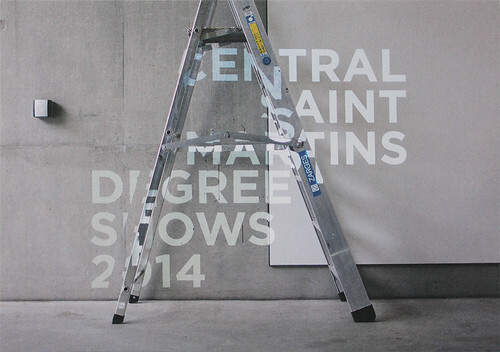 Invitation for the Central Saint Martins design degree show. Public view, 18-22 June 2014. Royal College of Art degree shows at the South Kensington and Battersea locations. Public view, 18-29 June 2014. Daily shuttle bus services will run between locations. 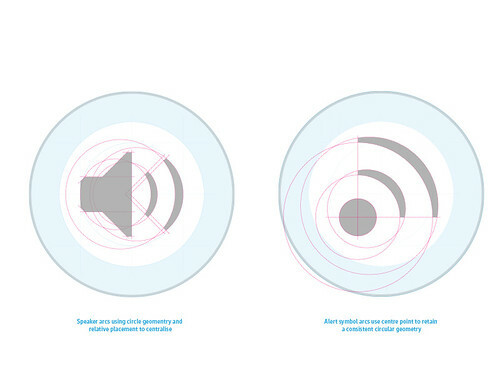 Kingston University graphic design degree show. Public view, 19-22 June 2014. 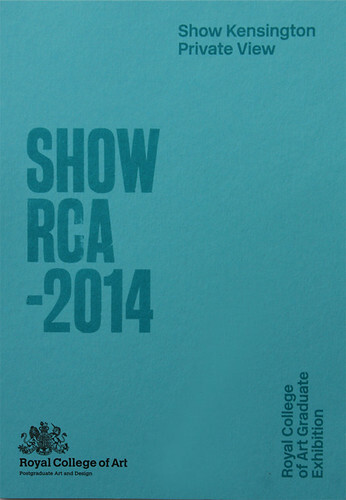 University of Reading BA graphic communication degree show invitation. Public view, 24-28 June 2014. The Swiss Federation’s The Most Beautiful Swiss Books 2013 competition is now in its 70th year. From 26-29 June, the winning books will be on display alongside all submitted titles at the Helmhaus in Zürich before moving on to Sitterwerk in St. Gall, at the École Cantonale d’Art de Lausanne. This year’s Jan Tschichold Award went to the publisher, author, actor and comedian Patrick Frey (Edition Patrick Frey). A fold-out poster for the Swiss Federation’s ‘The Most Beautiful Swiss Books 2013’ awards and exhibition. One of My Kind or OOMK magazine is an alternative women’s magazine with a feminist lean that welcomes ‘contributions from women of diverse ethnic and spiritual backgrounds’. OOMK is content-rich and broad in subject matter, edited by Sofia Niazi and designed by Rose Nordin. 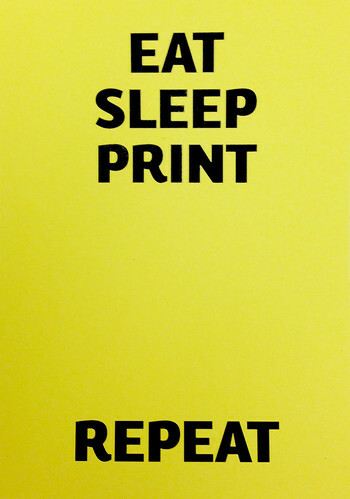 Issue two, ‘The Print Issue’, includes artwork and illustrations by Emily Evans, Christine Rösch and Alana Questell, among others, and includes features on the London Guantanamo Campaign, Guerilla Girls and the See Red Women’s workshops, 1974 to the early 1990s. Stroll and Tricardia-Watsonii, Alana-Questell, OOMK magazine no. 2, 2013. 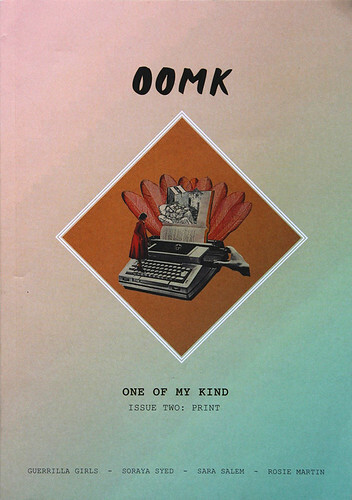 Cover of OOMK no. 2, 2013. Cover image by Alana Questell.